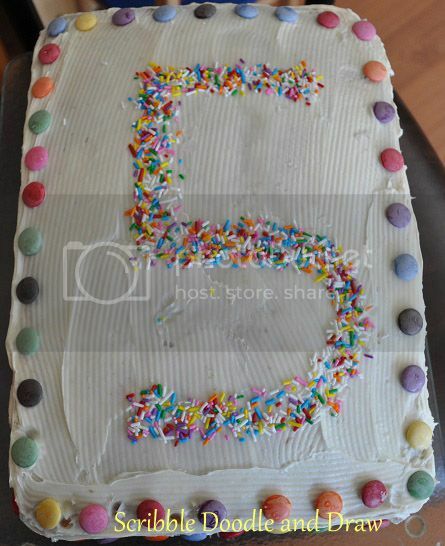 So a couple weeks back my kiddos turned 5! I'm still in shock maybe that's why this post is so delayed! Ha! The years go by so quickly it's hard to believe that it's already been 5 whole years! Birthdays are always a big deal around our house. 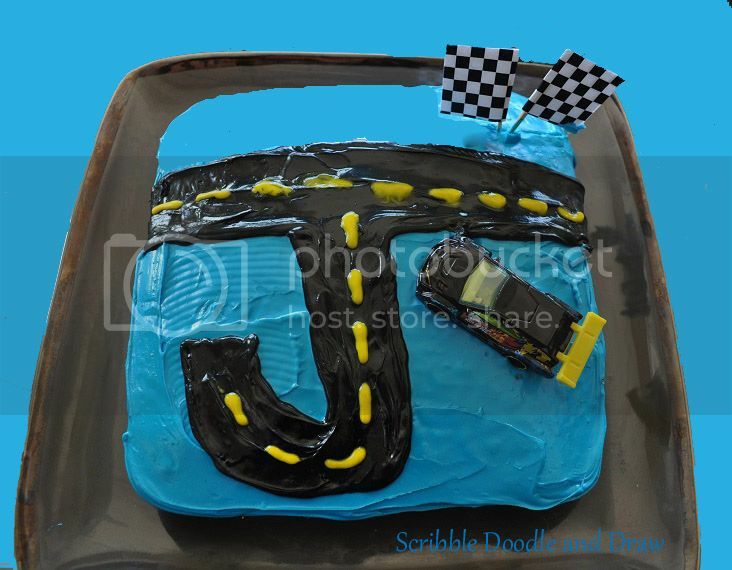 My kiddos talk about their birthday party plans throughout the whole year. They repeatedly plan who is coming, what the cake is going to look like, what they are going to eat, etc. 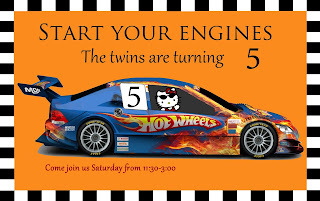 Now being boy/girl twins it has been increasingly harder to coordinate their desired themes into one big party but we do our best. I think they have never known anything different so it doesn't bother my son that half of the decorations are pink and frilly nor does it bother my daughter that there are car posters and flags plastered on the walls. Sounds alittle chaotic now doesn't it, I guess sometimes it is. 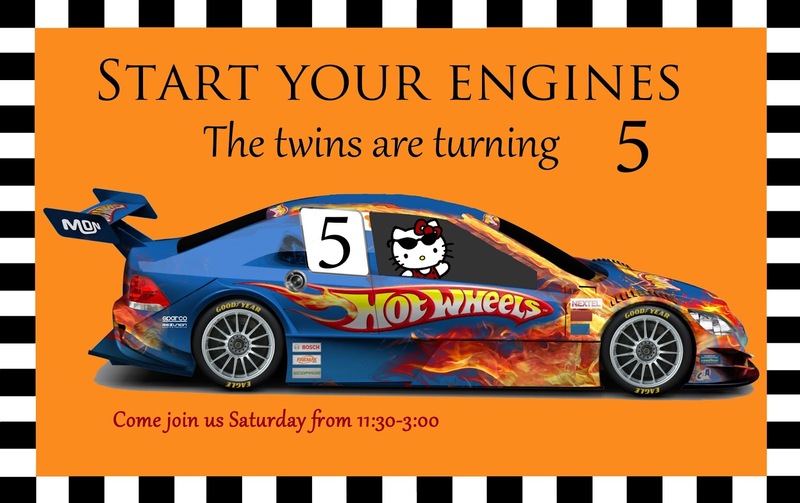 This year my daughter wanted a hello kitty themed birthday and my son wanted a hot wheels themed birthday. No problem, right? Well we tried anyways! 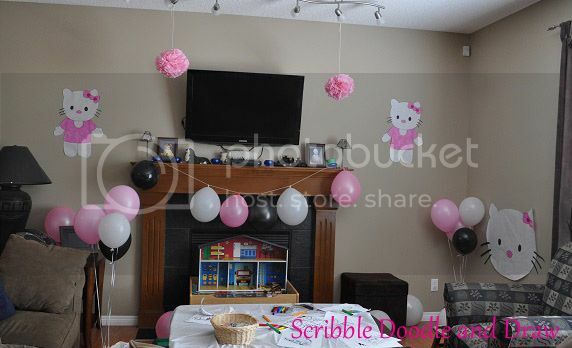 I tried to keep most of the hello kitty decorations downstairs. 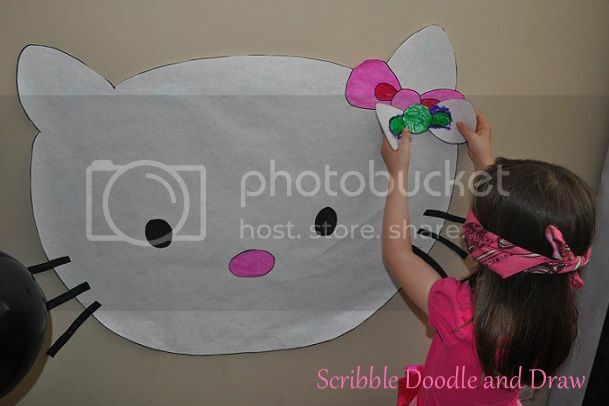 I drew and colored hello kitty posters, and made these giant tissue pompoms, as well as made our own hello kitty "pin the bow" game. The kids colored their own bow and then we covered their eyes and they tried to stick the bow on! Upstairs we had most of the hot wheels decorations. I used this tablecloth as a poster on the wall. Printed this banner from Over the big moon. 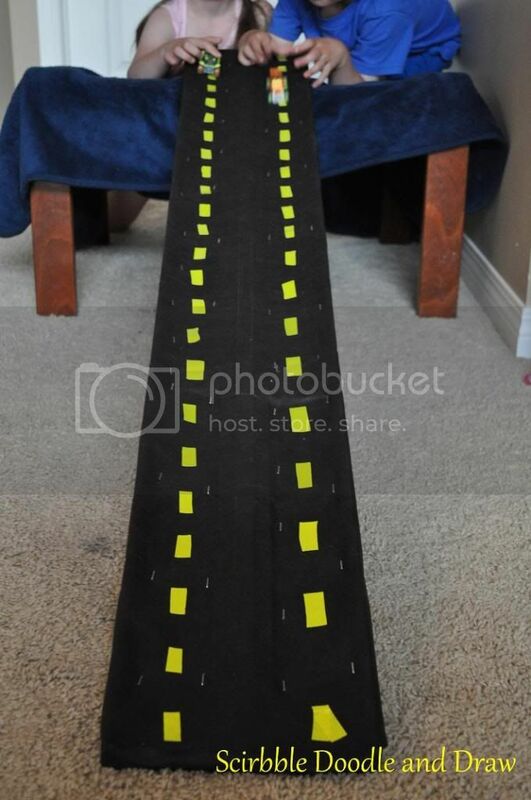 We also had our bouncy house set up as well as this homemade racetrack for the hotwheels cars. 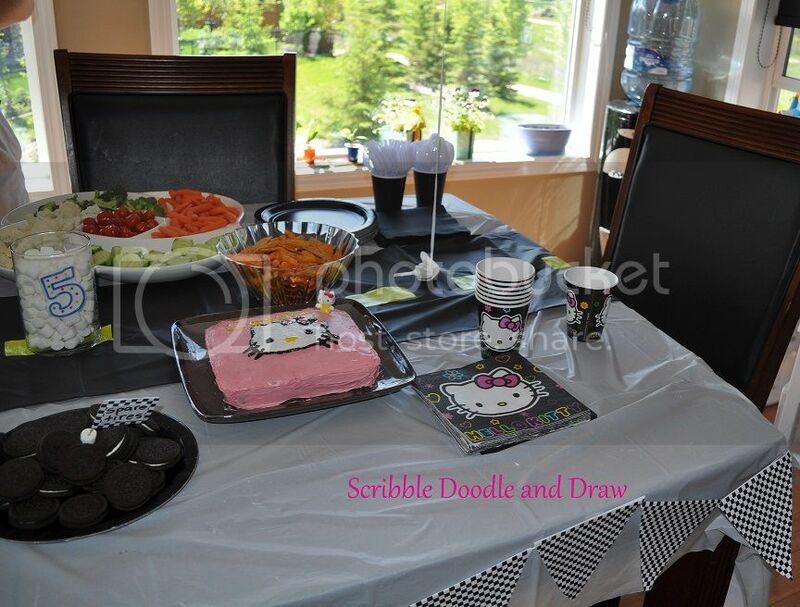 We made this track 1 hour before the party started so it was a little "put together" but the kiddos didn't mind at all. And the cakes! Oh the cakes. 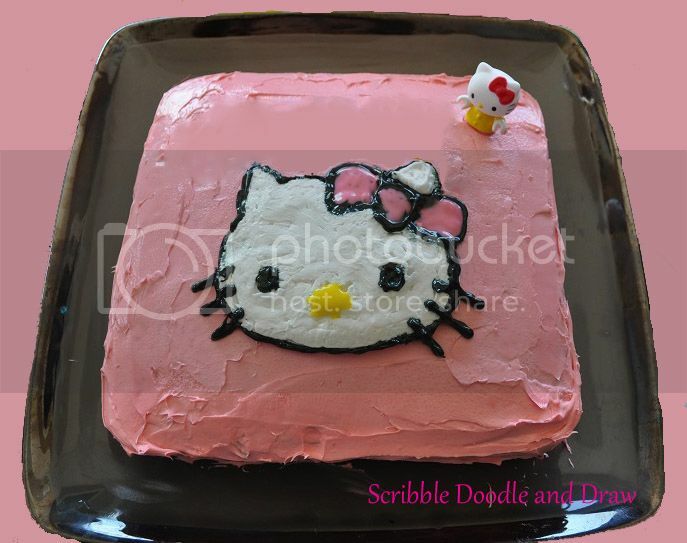 Now I am not a cake decorator but my kiddos insist on having elaborate personal cakes so here is what I came up with. The kiddos had a great time and made a lot of fun memories. They are already starting to plan for next year! LOL! 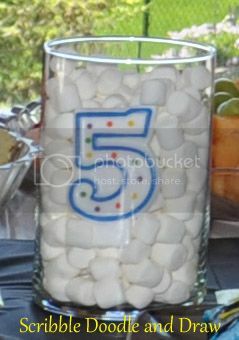 You can also check out how we celebrated my kiddos 4th birthday. 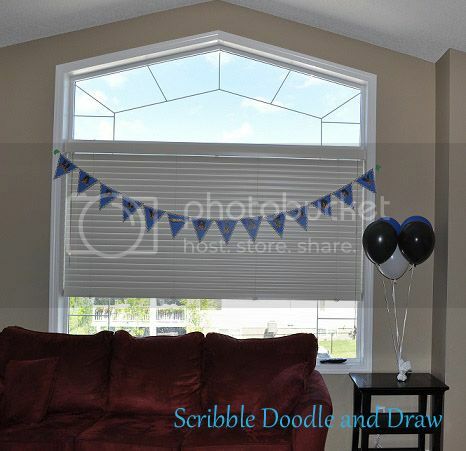 Do you have any links to your birthday party celebrations? Please add your links in the comment section below, I'd love to see them. 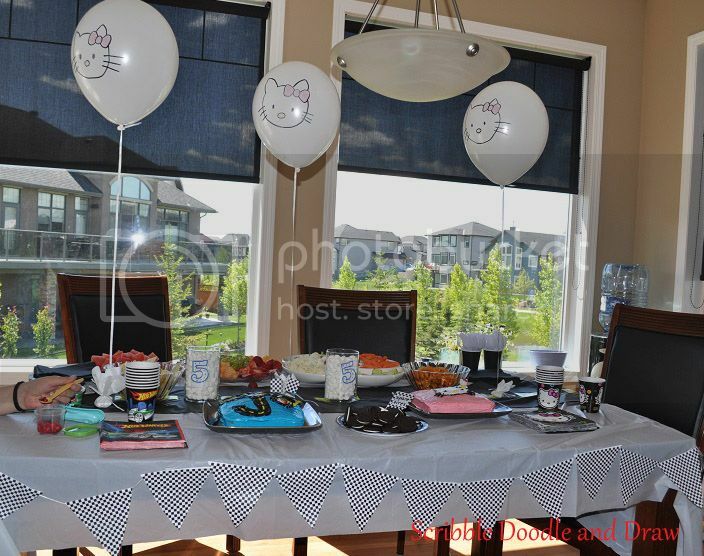 And do you have any ideas on how to incorporate different party themes for twins? Would love to hear your ideas!